How to Disable Automatic download of media files in Facebook Messenger? 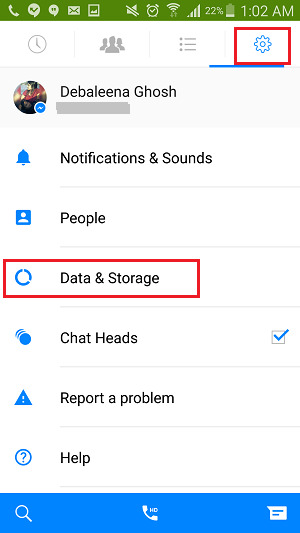 Home > Android > How to Disable Automatic download of media files in Facebook Messenger? Facebook Messenger has enriched itself with many outstanding and secured features like the filter message requests, internet data usage etc. Another feature is the new Data and Storage feature, which, if not deployed carefully, can ruin your internet data. This option is the automatic download of media files in Facebook Messenger. By default, this feature is turned off, so you need not worry. If you want to download an image sent by your friend over Messenger, then Messenger will first ask you whether you want to enable automatic download of images and videos. If you hit yes, then from the next session, all the images sent by every friend will get downloaded automatically. The worst part of the feature is that, even if you clear your gallery from time to time and delete the images, the photos will download again and again. Thus, not only you memory gets dumped with crap, your internet data is also compromised. In case you have enabled the feature intentionally or by mistake, and want to disable it, this tutorial will be helpful. 1. Open you Facebook Messenger app, tap on the Settings icon. Then click on Data & Storage. 2. 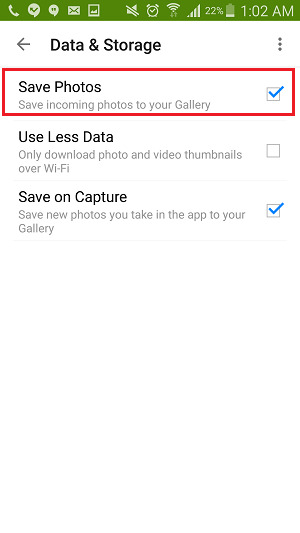 Now see that “Save Photos automatically to your Gallery” is checked. Uncheck the option to turn it off.